Nothing warms your family on a cold day better than homemade soup! 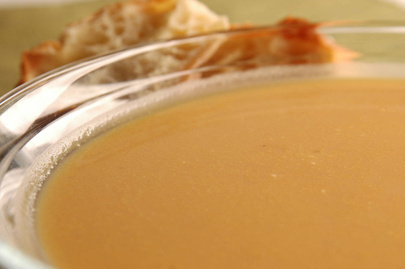 Here is a yummy soup recipe with a little kick! Cook onion in oil for about 4 minutes. Stir in parsnips, curry & corriander. Cook for 2-3 more minutes & add pear, vegetable stock & coconut milk. Bring to boil & simmer for 30 minutes. Cool & puree’ in Vitamix or food processor. Return soup to a clean pan, reheat and add lemon juice & cilantro garnish. « Vegan Kids & Bullying, Is It A problem?